Genera Motors CEO Mary Barra has been invited to stand before the Standing Committee on Industry, Science and Technology, a Canadian government committee that focuses on industry and economic development in the country. Barra has been invited to appear in Ottawa to explain why the automaker has decided to close down its Oshawa Assembly Plant this year. The closure will see GM Canada trim 2,900 jobs, which represents roughly 33.7% of its workforce. 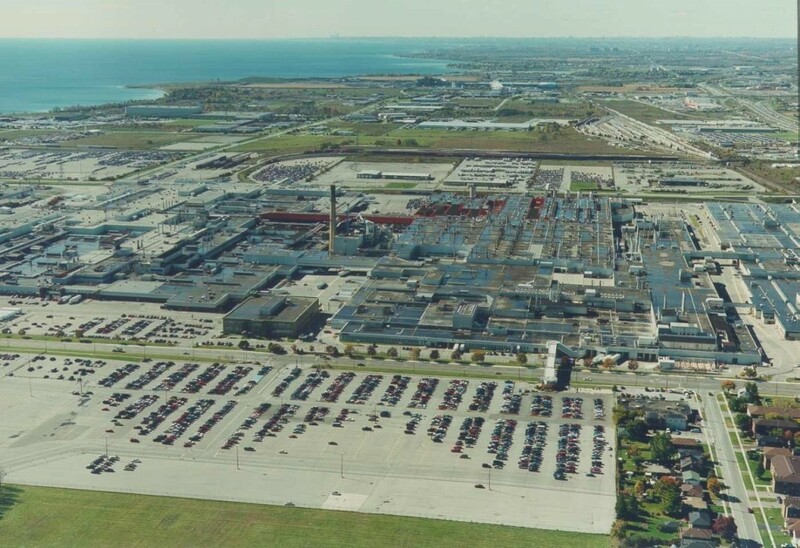 The automaker has previously explained that the economics behind building two slow-selling products like the Cadillac XTS and Chevrolet Impala in Oshawa no longer work, adding that it would continue to invest in Canada in other ways. The automaker currently operates a tech campus in Markham, Ontario and is building an “innovation hub” in downtown Toronto as well. Barra was asked to appear before the committee by NDP party member and the committee’s auto industry critic Brian Masse. The NDP party is Canada’s social democratic federal political party and has close ties with labor unions in the country. In an official statement, Masse was critical of GM Canada for taking a government bailout during the 2009 economic collapse only to subsequently cut its Canadian workforce by a third. “It is our responsibility as parliamentarians to get the answers that all Canadians deserve,” he added. Mary Barra has not yet responded to the invitation. I don’t care where, but they could move the soon to be discontinued products to one of the factories and close the other two factories? Heck, close all three factories, but keep the product in production at another underutilized factory. They aren’t fixing overcapacity issues if they cut products too; just shrinking assets and income! this whole situation kills me. GM was created by buick merging with mclaughlin in oshawa,making GM an american canadian auto business. BY GM turning their back on oshawa means there is no loyalty.Plain and simple, after the US and canada bailed them out they are moving operations to Mexico only for cheaper labour. this whole thing kills me! GM was created by the merger of buick and mclaughan from oshawa,making it a US canadian company.It is plain and simple ,after canada and the US bailed GM out in 2009 they have proven they have no loyalty moving more and more operations to Mexico for cheap labour.WE shouldnt reward them by buying mexican built autos and next time let the mexicans bail them out! GM is a corporation, not a person, therefore it isn’t subject to the inter-personal demands of human loyalty. Corporations are not your friends, and should never be seen as such. It doesn’t matter what corporation it is, they shouldn’t ever be treated as a person or held to the same standards as you would a friend. Always keep them at arms length. Maybe it’s an animal then. One that bites the hands that feed it. Not quite, because if a corporation is an animal, it isn’t being fed by its factory workers. The hand that feeds a corporation is called a ‘shareholder’, and in their other hand is the leash. Sorry my friend, you are wrong about corporations not being people. In the Citizens United case, the Supreme Court ruled corporations are people and they can give unlimited campaign contributions to politicians who will handle their interests. I get where you are coming from, but these corporations cannot have things both ways. Show me a consumer boycott that has ever worked and crippled a corporation. Show me a consumer boycott organized by a labour union that has ever worked to convince an entire nation of non-union consumers. Tell me why a multi-national corporation has ever had to worry about its nation of origin as if it was forever beholden to that nation. David, I don’t think the majority of Canadians will care about what it is they drive if they’re buying a car to suit their need. I very much doubt that many Canadian automotive consumers have ever put the availability of revolving unionized jobs at the top of their demands when buying a car. They certainly don’t think about unionized workers when they buy cars made in Cambridge, Woodstock, or Alliston, so why should they care about the welfare of workers in Oshawa? Even if GM was partly founded here in Canada over 100 years ago, GM isn’t a domestic automaker. The public doesn’t have to uphold or reject GM’s presence like the Americans do with their domestic automakers or how the Germans and Japanese do with theirs respectively. We simply don’t have that kind of baggage to worry about, and if the scope of the Canadian car market is anything to go by, we aren’t purposely making ourselves worry about it by falsely believing that a corporation is deserving of loyalty, or that any kind of emotional investment you make into a corporation should be reciprocated. You’re welcome to continue to boycott GM and to convince others with impassioned, emotional pleas of about your imagined consumer/corporate loyalty, but you really haven’t got much of a case if the Canadian market is, by default, without any loyalty to any automaker at all. Good luck with the invitation getting accepted because no one wants or appreciates being screamed at which is what will happen to General Motors CEO Mary Barra if she attends the committee. yeah, no kidding. Barra would be better off to volunteer to get water boarded than to show face at that meeting. If anyone deserves to get raked over the coals it is Machete Mary. She is totally useless as a CEO.